The National Geospatial-Intelligence Agency (NGA) collects, processes, and dispenses satellite imagery for national security purposes. This imagery is used to depict the planet’s physical features or activities that are being monitored by the intelligence community. The agency, which is a part of the Department of Defense, also supports combat troops with tactical data, such as targeting information for precision bombing. Much of the NGA’s satellite work is contracted out to private corporations in multi-billion-dollar deals. Official U.S. mapping and charting efforts arguably began in the early 1800s, with the Lewis and Clark expedition. World War I, however, revolutionized these efforts, ushering in an era of battlefield intelligence obtained through aerial reconnaissance. This transformation matured during the Second World War, and the Cold War helped institutionalize it. In 1956, President Dwight D. Eisenhower ordered secret surveillance flights over the Soviet Union using U-2 airplanes; at the same time, the United States was developing its first system of reconnaissance satellites for use against the USSR. To help process the information obtained from these satellites, Eisenhower created the National Photographic Interpretation Center in 1961. Multiple reorganizations of the federal government’s mapping and charting operations followed. First, the armed forces combined all their mapping agencies into one outfit, dubbed the Defense Mapping Agency, in 1972 (see Memorandum link below). In 1996, the National Defense Authorization Act for Fiscal Year 1997 (pdf) authorized Congress, the Central Intelligence Agency and the Department of Defense to unite their mapping and charting offices, creating the National Imagery and Mapping Agency. The NIMA combined both intelligence and combat-support operations in one entity. On Nov. 24, 2003, President George W. Bush signed the National Defense Authorization Act for Fiscal Year 2004 (pdf). 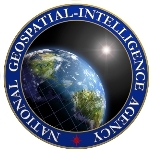 The act enabled NIMA to rename itself the National Geospatial-Intelligence Agency. “This name change is more than cosmetic; it represents the latest in a series of major steps to provide the nation’s war fighters and senior policy-makers with the best intelligence available to support decision making,” wrote Tom Cooke, NIMA deputy chief of public affairs, in the 2003 “State of the Agency” issue of the Pathfinder (pdf) publication. The NGA was credited with providing vital intelligence that supported the successful raid on Osama bin Laden’s hideout in Pakistan in 2011. The NGA director also manages the National System for Geospatial Intelligence (NSG), which coordinates intelligence activities for the many entities that rely on NGA services. The NGA director reports to both the national intelligence director and the secretary of defense. The National Geospatial-Intelligence Agency has spent more than $36 million on 32 contractor transactions between FY 2002 and FY 2012, according to USASpending.gov. The top five types of products or services purchased were electronics and communications equipment ($30,362,816), ADP facility management ($2,849,000), other ADP and telecommunications services ($1,873,788), other research and development [R&D] ($292,683), and additional electronics and communications R&D ($187,964). The National Geospatial-Intelligence Agency (NGA) has been repeatedly criticized for producing faulty maps that led to numerous tragedies, even before it was called the NGA. Known previously as the National Imagery and Mapping Agency (NIMA), the organization’s bad mapping has been the center of controversy. In 1999, during the Kosovo crisis, an American military pilot mistakenly dropped four precision bombs on the Chinese Embassy in Belgrade, Serbia, because of a faulty map provided by the NIMA. The CIA claimed to have used a flawed NIMA map for targeting the Yugoslav Federal Directorate of Supply and Procurement during the NATO bombing campaign. The incident killed three Chinese journalists and injured 20 other people. An investigation by The Los Angeles Times found the NIMA had been making similar mistakes going back to the mid-1980s. In one 15-month span, NIMA maps played a role in three tragedies that caused 28 deaths, including the shearing of an Italian gondola cable by a Marine Corps fighter plane in 1998, which killed 20 people. An investigation showed that the NIMA-produced navigation map didn’t indicate that the ski lift existed. As recently as January 2013, the USS Guardian, a minesweeper, hit a reef in the Sulu Sea near the Philippines because the NGA’s digital mapping system placed the reef about 8 nautical miles away from where it actually is positioned. The NGA promised in 2011 to declassify a large volume of intelligence satellite imagery from the Cold War. Then, it changed its mind without explaining why. “The NGA [National Geospatial-Intelligence Agency] is anticipating the potential declassification of significant amounts of film-based imagery… in 2011,” the agency stated in a solicitation that was published in Federal Business Opportunities on February 14, 2011, according to Steven Aftergood at Secrecy News. The images expected to be released were taken from the KH-9 satellite during a 15-year span (1971-1986). When asked why the NGA decided not to publish the images, a spokesman said the agency was still reviewing the material and after finishing its assessments would make a recommendation to the Director of National Intelligence on how to proceed. While running the National Geospatial-Intelligence Agency (NGA), director James Clapper contracted out the agency’s information technology functions in 2001. The decision forced 600 NGA employees to either join the company taking over the work or just be laid off. The 15-year, no-bid contract (which was worth up to $2.2. billion) went to NJVC, a joint venture of two Alaska Native corporations. Five years later, Congress investigated NJVC and found its NGA work “seriously deficient with respect to security issues.” It also discovered the company was doing only about a third of the work specified under the contract. And yet NJVC was paid most of its performance fees. In 2012, NJVC secured a contract modification with the NGA for $14 million, bringing the total actual value of the contract to $347 million. In 2006, Clapper left the agency and in 2010 he became President Barack Obama’s Director of National Intelligence. Director of National Intelligence James Clapper in 2011 ordered employees at many of the U.S. government’s top intelligence agencies to take lie detector tests in an effort to stop leaks to the media. The order affected those working at the National Geospatial-Intelligence Agency, as well as the Central Intelligence Agency, the Defense Intelligence Agency, the Department of Energy, and the National Security Agency, among others. Clapper also requested the Intelligence Community inspector general to head up leak investigations when the Department of Justice declined to prosecute officials involved. Polygraph tests were expected to include a specific question regarding contact with journalists and unauthorized leaks to the media. Anyone failing the test was subject to losing their security clearance and to criminal investigation. With the expansion of military surveillance drones, U.S. intelligence operations have become flooded with more video footage than they can handle. In just three years, the video collected by Air Force drones over Afghanistan and Iraq tripled in quantity—enough for someone to spend 24 years straight to watch all of it. The NGA, one of the agencies charged with analyzing the footage, has turned to television networks to see how they process the large volumes of video images they handle every day to see what might be of use. Some NGA officials spent time in network broadcast trucks parked outside football stadiums to learn how the crews tagged and retrieved highlight film in hopes that the NGA would be able to use the same techniques with the drone footage. The NGA was criticized in 2011 for falling behind on archiving its collection of printed maps, according to the National Archives and Records Administration (NARA). NARA officials conducted an audit of the NGA after learning the agency was not keeping up on preserving hard copies of its maps. It turned out that the NGA had not archived any of the maps since 1996. Problems included a lack of awareness among staff about properly managing records and “an overall lack of established records management processes that ensure the proper disposition of records,” the report concluded. The NGA decided in 2005 to remove most of its aeronautical data, including maps and publications, from public view. NGA officials said they took this action because many foreign source providers had complained about intellectual property-rights concerns. But there also seemed to be a national security angle, as much of the NGA material is meant for “limited distribution” to begin with. For instance, Australia asked the NGA to not publish maps of Indonesia, where certain terrorist organizations were located. “The removal of this aeronautical data from general public access will assure the continued availability of information vital to national security,” James Clapper, NGA director and a retired Air Force three-star general, told the media. The agency stopped selling CD-ROMs of this material in early 2006 and stopped giving it out over the Internet in the fall of 2006. The decision meant public mapmakers and librarians would no longer have access to many detailed aeronautical charts and data. But they could still obtain maps with a scale of 1-to-250,000 to 1-to-5 million, due to their lack of detail. The United States was reportedly taken by surprise when India tested its first nuclear weapon in 1998, despite the fact that NIMA analysts had been instructed to monitor the supposed test site closely. California lawmakers in Congress advocated in 2012 for intelligence agencies, including the NGA, to help in the war against drugs. Legislation introduced in the House would have required the NGA and other spy operations to produce an annual report that detailed what activities they did to stop drug cartels. “The local folks [in law enforcement] need all the help they can get,” Representative Mike Thompson (D-California), a member of the House Permanent Select Committee on Intelligence, told McClatchy Newspapers. “Every day, there’s a new reason for concern.” One of the major concerns was the use of public lands in the Western states for marijuana growing and meth production. Should EnhancedView program funding be cut? EnhancedView is a public-private program that was established to launch a new generation of high resolution imaging satellites to provide data to the National Geospatial-Intelligence Agency (NGA). With steep cuts to the Department of Defense budget, Pentagon officials have been forced to reevaluate the $7.3 billion EnhancedView contract, which was awarded to two companies: GeoEye and DigitalGlobe. A debate has ensued over what the government should do with EnhancedView and whether it can afford to keep it around. The program has reportedly been successful in providing high-resolution images to the NGA. But some in the Pentagon have wondered if the government wouldn’t be better off if it relied on its own agencies for the satellite images, instead of paying billions of dollars to contractors. On one side of the debate are leaders in the defense and intelligence communities. These officials face the difficult task of deciding what programs to cut funding for in light of shrinking defense budgets in future years. As much as some appreciate the work being produced by EnhancedView, supporters for cutting the program say the realities facing the Pentagon leave them with little choice. They add that it is possible for the NGA to still obtain the images it needs without EnhancedView, by relying on the spy satellites operated by the National Reconnaissance Office. In the other camp of this debate is the commercial remote sensing industry, more specifically the companies GeoEye and DigitalGlobe. The executives of these businesses desperately need funding for EnhancedView to continue, since about 60% of their partnership stems from the program. They warn that to cut its funding would likely mean the death of at least one of these corporations. They add that the program has proven to be valuable by providing high-quality images, and their supporters contend that reducing EnhancedView could adversely impact innovation and the future of the commercial remote sensing industry. To elaborate, the NGA Police Department (which is a misnomer in and of itself, since the "Police Officers" of this agency are not even recognized as Federal Police, job series 0083, and instead are recognized by a strange Air Force hybrid job series 17AQS3) is by far the biggest violator of the federal governments' fraud, waste and abuse laws. Specifically, the "Officer" responsible for the NGA "Police" Department armory has been stealing, selling and stockpiling at his personal residence federal ammunition for years. All of which with the tacit approval of the NGA "Police Command". Further, the member of the NGA "Police" who utilizes the job title "Detective Lieutenant" (another laughable and severe stretching of the federal job series 0083 that this "Police Department" is not even officially recognized as), falsified his tenure at the Federal Law Enforcement Training Center (FLETC) while employed at the Department of Commerce Police Department, all because he did not want to attend FLETC again, even though he was supposed to. This unscrupulous individual is in charge of the NGA "Police Department" Insider Threat group, even though he is one of NGA's biggest insider threats himself. Robert Cardillo took over as director of the National Geospatial-Intelligence Agency (NGA) on October 3, 2014. NGA collects, processes, and dispenses satellite imagery for national security purposes.and analyzes intelligence information through the lens of geography and maps. It didn’t take long in office for Cardillo to be forced to deal with an embarrassing incident when, on January 26, 2015, an NGA employee mistakenly flew a drone onto the White House grounds. On the other hand, shortly after Cardillo took over, the NGA created a website to share images to help track the spread of Ebola in West Africa. Cardillo is an Army brat; his father Richard is a West Point graduate and rose to the rank of brigadier general. Cardillo went to Cornell, graduating in 1983 with a B.A. in government. He went to work soon thereafter for the Defense Intelligence Agency (DIA) as an imagery analyst. Instead of being a spy, the early part of his career involved preparing classified items to be burned. He quickly moved up the ranks though, and was trained as a Soviet analyst. In 1988, Cardillo earned an M.A. in national security studies from Georgetown University. This isn’t Cardillo’s first stint at NGA. He worked there previously in congressional affairs, public affairs and corporate relations. In 2002 he was named chief of analysis and production, source operations and management. Cardillo returned to DIA in 2006 as deputy director for Analysis and later as deputy director. In the summer of 2009, he served briefly as acting J2, or intelligence officer, for the Joint Chiefs of Staff, the first civilian to do so. In 2010, Cardillo was named deputy director for Intelligence Integration for Director of National Intelligence James Clapper. Part of his duties included giving President Barack Obama the President’s Daily Briefing (PDB) on intelligence issues. Cardillo was the first to use a computer tablet in the presentation of the PDB. Cardillo did suffer a minor misstep in that office. As the planning for the apprehension of Osama Bin Ladin progressed, Cardillo was against the mission in the belief that Bin Ladin was not in the Pakistan compound where he was eventually caught. Cardillo’s frequent contact with President Obama was partly responsible for the president recording a video to be played at the ceremony where Cardillo assumed command of NGA from the previous director, Letitia Long. Cardillo is an avid runner and has competed in several Marine Corps Marathons. That no doubt helps him work off one of his other interests, trying craft beers. Cardillo and his wife, Lori, have three grown children: two sons and a daughter. Vice Admiral Robert B. Murrett received his bachelor’s degree in history from the University of Buffalo. He then received two master’s degrees: one in government from Georgetown University, and the other in strategic intelligence from the Defense Intelligence College. After leaving the Defense Intelligence College in 1980, Murrett, who had been commissioned as a Navy lieutenant shortly after receiving his bachelor’s, was assigned as a watch stander and briefing officer for Navy leaders. In 1983, he began a two-year stint as an assistant intelligence officer for the commander of the Second Fleet, participating in deployments aboard the USS Mount Whitney and the USS Nassau. He moved to Oslo, Norway, in 1986, serving as assistant naval attaché to the U.S. embassy for three years. In 1989, he was reassigned as operational intelligence officer under the commander in chief of the U.S. Pacific Fleet. He followed that up in 1992 with three years of service as assistant chief of staff for the commander of a Navy carrier group. In 1995, Murrett became assistant chief of staff for the commander of the Second Fleet. Between 1997 and 1998, he worked with the chief of naval operations staff as executive assistant to the director of naval intelligence. In September 1998, he became director of the Intelligence Directorate in the Office of Naval Intelligence. Almost one year later, he moved on to become commander of the Atlantic Intelligence Command. Between Aug. 10, 2000, and Jan. 25, 2002, he served as director for intelligence for the U.S. Joint Forces Command. Six days after leaving that post, he became vice director for intelligence on the Joint Staff, remaining in that position until March 2005. 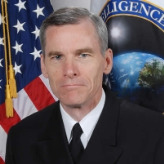 He then served as director of naval intelligence from April 1, 2005, until July 6, 2006. President Bush nominated Murrett to replace retired Air Force Lt. Gen. James Clapper Jr. as director of the NGA in June 2006. The Senate confirmed him on June 29, and he took control of the agency July 7.